The advance reader copies of A DECENT WOMAN are nearly ready to send to my wonderful beta readers, and I’m excited! This week, my emotions run the gamut from happy, scared, doubtful, and then, to excited. I’m a ball of good and bad nerves; adrenaline is at an all-time high in my body. I feel like I did in my heart when my kids went to their respective colleges as young adults–for me, it was an ending. I knew life would never be the same, but I was also excited for them, and the new chapters opening up before them. I did my best with my kids, and I sent them off with a great big hugs, kisses on both cheeks, and a gentle push into the world. It was time, and they did great. I’m proud of them. 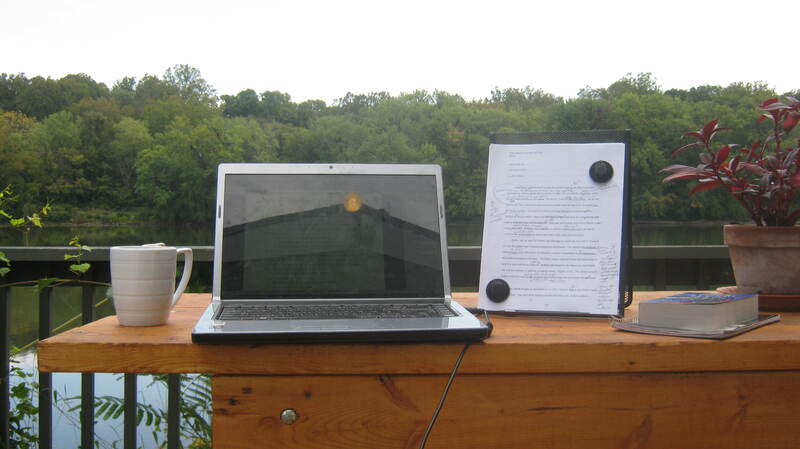 Last weekend, I finished the final manuscript edits, and felt torn between feelings of elation and dread when I reached the end of the story, and read the words, “The End”. The baby I’d created, nurtured, molded, and kept safe from harm was soon out of my loving arms, and into the hands of wonderful readers, and yet, my story is ready, which makes me incredibly happy…and relieved. A while back, an author friend assured me I’d know when my debut novel was ready to go into the world, and she was right—I did. How did I know my story was ready? I was excited to pick up my second novel where I’d left off. I began writing, Finding Gracia, just before Booktrope accepted my manuscript, A Decent Woman, for publication on February 14, 2014, and I stopped writing when the shiny new path of publication opened up. It’s time! I persevered through challenges and delays, and never lost my focus, drive, and determination to see A Decent Woman published. Today, I see the light at the end of the tunnel, and I am pleased. After six months of writing, four years of rewrites and edits to include more fabulous editing, I’m ready to give A Decent Woman a great big hug, a kiss on both cheeks, and a gentle push into the world of beta readers. It’s time. I’m proud of this book, proud of myself, and very grateful to my team at Booktrope. I saw this reading challenge today on Twitter, and thought I’d join in! I’m not sure where it originated or what the ‘rules’ are, but I’m enjoying myself! I’m reading from the West Virginia side of the Potomac River in beautiful Falling Waters, West Virginia. The Hand of Fatima by Ildefonso Falcones with 961 pages is at the top of my stack, and next in line. That book will take me a week to finish reading! This weekend, I’m rereading the manuscript of my historical novel, A DECENT WOMAN, to make sure I’ve caught all my editor’s changes before it goes to the proofreader next week. I’m already on page 92, and making good time! I’m a Puerto Rican-born, bilingual, 5′ tall, full-time novelist who loves her children, being in nature, animals, and writing. Oh, and dancing. I love to dance. This is my first read-a-thon, and I am enjoying it! I love to read, and will be checking in with other participants throughout the day on social media! My dad was relatively calm today with beautiful, albeit brief periods of lucidity about his ear, and how it feels to lose an ear to cancer. Dad tells us he’s grateful to the plastic surgeon, and how it’s better to lose an ear than die from cancer. We agree with him, and I glance at my sister. I know we’re thinking the same thing-Dad is back. That’s what we think he would have said before he was diagnosed with dementia which turned into Alzheimer’s. We know this is only a brief reappearance of our father. Soon, Alzheimer’s will overtake him like a spiritual possession, and we won’t know who he is once again. Tonight, my father isn’t asking the same questions over and over, and hasn’t asked about his hospital stay. He’s leading the conversation…and it is a conversation. Dad asks for a cold beer before dinner, and we hand him an O’Doul’s, a non-alcoholic beer, in a nice cold glass. He doesn’t seem to notice the difference, and we make sure to shove the green and white beer can down deep into the trashcan in case he grows suspicious of the switch. As Dad speaks, I feel myself slipping out of my current daughter/caregiver role into grown daughter role, and I realize I can’t do that any longer-he can’t be trusted. As much as we, his daughters, would love to have our independent father back, and my step-mom misses her take-charge husband, it’s never going to happen. He has advanced Alzheimer’s; it’s done. Last night, Dad didn’t know who we were. He thought I was a nurse named Carol, but tonight he asks us about our husbands, and asks how the kids are doing. He’s in and out. The next ten minutes confirm my fears-Dad pours his orange juice on top of the baked chicken thigh on his plate. My sister’s eyes grow as large as my own, and my jaw drops as the juice precariously reaches the edge of the plate, now mixed with tomato sauce. The dish would be called Poulet a l’orange without the tomato sauce, I think. I don’t move, but instinctively, my sister reaches for his plate, and my dad looks at her with clenched jaws. She backs off as he grips the plate with two hands. We still have bedtime to deal with, and we don’t want a bad night with him. It’s our last night alone with our father. My step-mom arrives in the morning. I can’t imagine how they will do when we’re gone. We must have the discussion of future care with our step-mom when she returns. We sit patiently at the dining room while our father eats his chicken and spoons every last drop of orange juice off his plate. He has stopped talking, and seems to be in another world. At least he’s not a picky eater, I think. Thirty minutes later, Dad uses the toilet, brushes his teeth, and we give him the prescribed little blue pill to induce sleep, and he sits at the edge of the bed. I can tell he won’t go easy tonight. He wants us to leave his bedroom, and close the door. I have visions of him falling and hitting his head on the edge of the dresser or bedside table as he is still wobbly from the surgery. When we won’t leave his room, Dad opens the drawer of the bedside table, and takes out all the contents-his wallet, a set of keys, assorted papers, and his watch, setting them on the bed. It seems to be a show of contrariness or a need to control his environment. He says he doesn’t recognize the keys, and I’m confident they are keys from the old house. The keys and his watch go back into the drawer, and now he inspects all the papers one by one. I feel my patience wearing thin, it’s been a long, long day, but we stand in front of our father patiently waiting as he takes an inventory of his possessions. Finally, he is satisfied and the drawer is closed…only to be reopened seconds later. The inventory begins again. This happens three times. It seems interesting neither me or my sister loses our cool. I wonder if we’ve begun some bizarre contest to see who loses it first. We are both stubborn, but perhaps it’s more that we realize it’s our last night with our father, so we indulge him. I know very well if I were his full time caregiver, I would be more firm. Again, I’m thankful for my step-mom. I feel like a grandparent taking care of a grandchild for a week, and then flying home. I feel a bit of guilt and a bit of relief. I miss my house, my routine, my kids, and I have a book coming out in early December. “Do any institutions or organizations have control of my money,” he asks us. It’s a good question. “No, you and your wife control your money.” He seems satisfied with the lie, and the drawer is closed again. We are able to tuck him into bed. He has more questions, he says. We lean in. “Do I have your contact information? I want you to write everything about yourselves, your husbands, your children, your jobs, and what you’ve accomplished in life.” Awesome question, Dad. We’ve done this for him many times over the years, and we’ll do it again as he loses every little book we make for him. “It’s important to have this information in our personnel files, and we will teach you how to access and extract this information when the time comes. We won’t tolerate bad manners or excessive force when dealing with prisoners. Kindness and offers of gifts will encourage them to speak to their comrades who might be persuaded to join us.” Our eyebrows shoot up-we realize Dad is giving a military briefing; it goes on for an hour, maybe more. I am stunned beyond belief. He is an articulate, soft-spoken, and firm leader speaking to his troops or giving a briefing at the Pentagon where he worked for nearly twenty years after a thirty-year Army career. Did he give this speech in Vietnam? My sister and I wished we’d taped our father’s speech/briefing. I am amazed at how much information is hidden and tucked into the recesses of his brain. We wonder what prompted the ‘outburst’, and then I remember…his military ID card was in his wallet. Did that jog his memory? For an hour or so, we saw a side of our father we never knew when we lived at home as young adults. Dad always left work at the office; we never discussed his jobs or his time in Vietnam. My ex-husband was a Vietnam vet, and I remember their deep conversations about the military and about war. We didn’t have those conversations with our father. I’m impressed, curious, and a bit thankful he didn’t go into any gruesome war stories tonight. I realize there’s a huge part of my father’s life I will never know about with Alzheimer’s destroying his brain; it wasn’t meant to be, but I’m grateful for the glimpse of my father tonight. I’m thankful I listened well to the stories of my grandmothers, aunts, and my mother. 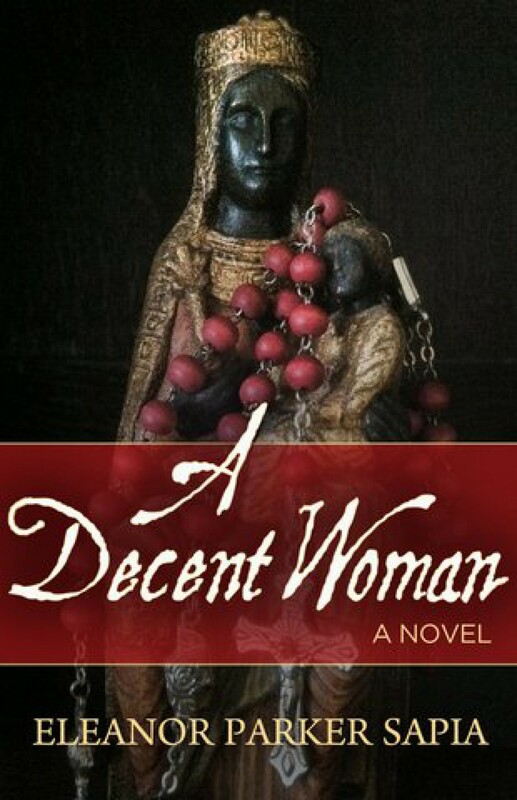 My Puerto Rican family’s oral storytelling tradition birthed the idea of writing my historical novel, A Decent Woman. I wasn’t meant to write a book based on my father’s life; he was a private man, and didn’t open up to me-the women of my family opened up to me. I was meant to write A Decent Woman; all my life experiences have led me to this point. I inherited my father’s tenacity, stubborn streak, courage, and strength of character; that will help me see this book published. NOTE: I am back in West Virginia tonight, and going through my editor’s final edits. A Decent Woman comes out December 12, 2014 with Booktrope Books. Thank you for taking this journey with me. Your prayers, kind notes, comments, and healing thoughts have meant a lot to my family. I will be back in Florida with my father and step-mom in a few months. Be well. My father woke up around four and removed the outer bandages covering the skin graft that protects the area where his ear used to be. I could say he was incredibly quiet, sneaky, and possesses great stealth, but the plain truth is we are tired, and we didn’t hear a thing. Our plan seemed solid at ten o’clock last night–my sister and I would sleep in the bedroom closest to our father’s room, and check on him every few hours or so. That backfired. Tonight, we’ll take turns sleeping–we can’t risk infection, and my father is 1000% committed in his quest to remove the bandages on his head and over his missing ear. As many times as we’ve replace the bandages, he has attempted to remove them. Are we afraid of what his reaction will be when he sees the wound? Will he remember the wound ten minutes later when he’s distracted? Will the shock of his missing ear cause him to remember the surgery and his hospital stay? I don’t know. We finally saw the wound yesterday when the nurse came to the house to change the dressing. Sobering and tragic are the only words that come to mind. Poor man. Stay in the mystery, Dad. Don’t look. 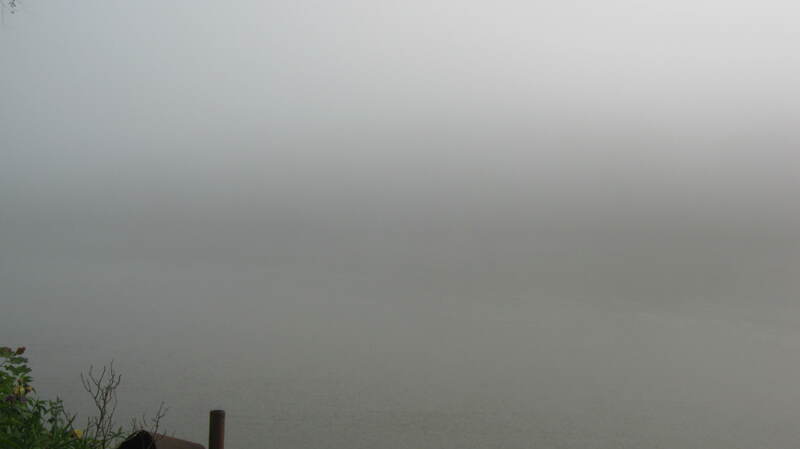 Early this morning, my sister woke to find him in front of the bathroom mirror, poised and ready to remove the Curad-medicated pad–the last bit of fortress between mystery and reality–he has not seen what is left of his ear yet. He’d already removed the outer bandages and the gauze covering the wound where the skin graft was taken from his thigh. The questions began. I jumped out of bed. “What happened to my head; how did I get cancer?” There was no reasoning with him, and no amount of pleading or gentle scolding will stop him. “Stop, Dad. Leave it alone.” He answered us curtly, “I’m not touching it. Leave me alone.” The hand went back up. Compulsive; that’s my Dad. That hasn’t changed. I needed caffeine at that point. When my father called me Carol, and didn’t know who my sister was, he said, “Give me more clues.” He sounded like a child and I realized he wasn’t kidding. “That’s okay, Dad. Go to sleep now. We love you.” I truly thought it would be a traumatic experience the day my father forgot who we were, but it wasn’t. It is what it is; we’ve been expecting it. The night my mother died came to mind. It was 1992, and I prayed God would release my mother from pain. I did not, however, pray to keep her with us while she was in so much pain. That’s the night I knew I’d grown a bit more. This morning was another of those growth moments. My father doesn’t remember us, but we remember and love him. Finally, all lights were turned off, and it was still pitch black outside. I heard the traffic in the distance, and told my sister to sleep until eight. I would keep watch. 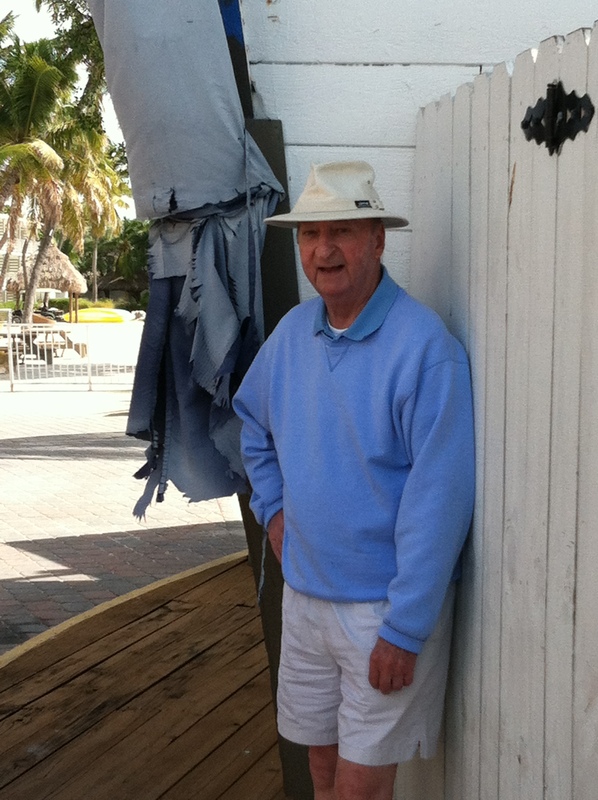 On the second day in Florida after my father’s surgery, I wondered who would care of me when I turn 84? I’m a single woman and I know my beautiful children will take care me, but they need to live their lives. Who then? Right then and there, I prayed to never be a huge burden on my kids–not emotionally, physically, or spiritually. But I would never take away nor release them from caring for me–because it is through these moments, we come to understand life, and we grow and learn. My dad’s day came in like a lamb, turned into a lion, and ended like a lamb. It began softly, continued throughout the day with gentle words, coaxing, raised eyebrows, and ended with a tiny blue pill meant to reduce agitation, fear, and a combative attitude, and induce calm and sleep. I learned of a new syndrome-Sundowner’s Syndrome, or Sundowning. My dad was eating lunch when I arrived at his hospital room with my sister. I noticed we both waited three or four seconds for a sign of recognition before approaching our father’s hospital bed. No one told us to do this, we just do. 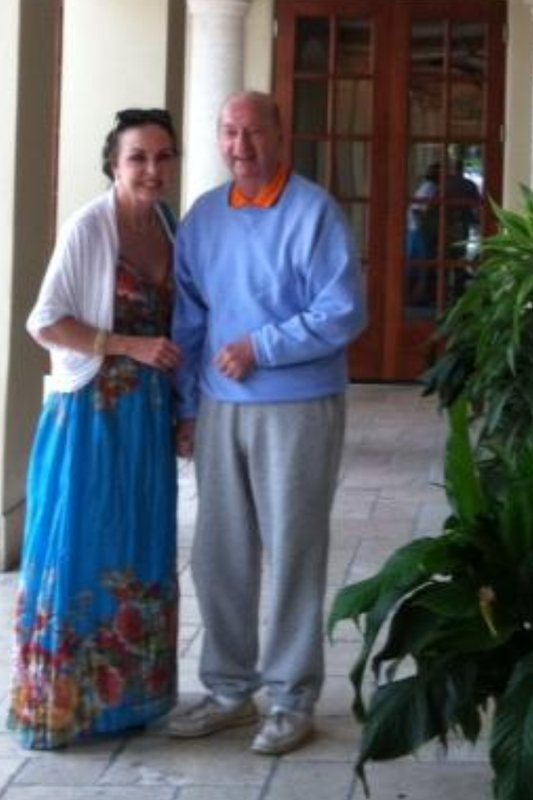 My father asked when we arrived, and we know he means when we arrived in Florida, not at the hospital. His eyes tell me the rusty wheels of his mind are working as he looks at my sister and than at me. I struggle to remember what I learned in anatomy class about the brain’s synapses, and I wonder which ones are firing up as he gazes at us. What does he think of when he looks at his youngest daughters? Does he remember walking us down the aisle? Does he remember an argument or a fight? We will never know. I then realize I don’t remember a thing about anatomy class which immediately worries me, so I put that out of my mind as I greet my dad with a kiss on the cheek. ‘Yes, I’m alone now, but I’m happy,” I add quickly. His eyebrows raise, and I mentally kick myself. I should just tell him Chuck is fine and not mention the divorce, but I feel guilty lying. Is it kinder to lie to this 84 year old man or tell him the truth, and possibly make him feel bad that he doesn’t remember? My dad and I have had this conversation dozens of times over the past four years as his Alzheimer’s progressed, and I still don’t know what’s best. “He’s still in Belgium.” My father believes all women should be married and protected by a man in the sanctity of marriage. I have this conversation memorized. He’ll ask me if my ex-husband remarried, and then, we’ll move onto questions about what I’m doing to support myself. I tell my dad about my children’s current news, and that they send their love. My sister knows she’s next in the line for questioning, and gives me ‘the eye.’ We change the subject. I realize my sister and I have a silent language around our father. Raised eyebrows, big eyes, and tiny, lightning-fast shakes of our heads all mean the same thing-‘don’t go there; leave it alone for now.’ We also tell each other what worked with my dad when it was our turn to be alone with him-‘try this’, ‘not that’, ‘ignore that’, and ‘never say that to him in the evening’. I realize we don’t know what we’re doing; we’re only managing moment to moment, and putting out fires we’ll fight again in the next hour or so all over again. Why do we bother sharing what worked for us, then? Do we need those minuscule moments of accomplishment and peace when we had a bit of control over a potential situation with my Dad? You bet we do. Peace and calm must be managed, and we’re all for prolonging the hell out of peaceful moments. But, Dad is agitated today. The new nurse’s aide tells us the surgeon came in earlier and said Dad can be discharged, however, it could take all day for the necessary paperwork to be processed. My dad says it’s a stupid system, and a bunch of incompetents run the hospital. Here it comes. The sweet Bahamian nurse’s aide pulls my sister and I aside with an eye on her patient, and tells us he had a bad night. My father’s OCD tendencies have been on parade all night and all morning. She tells us he won’t leave the bandages on his head alone, and is intent on removing his IV. The bandages are protecting a precious skin graft that now covers what’s left of my father’s ear-a tiny bit of earlobe and a bit of the top of his ear. The good news is that the surgeon has deemed the skin graft healthy; there won’t be another surgery. We are very relieved. Our prayers have been answered. The bad news is that if Dad touches or messes with the bandages and disturbs the skin graft, it will be a disaster. And, my sister and I are in charge of taking our father home, and caring for him during his first night home while our step-mom takes a much-needed mini vacation away from care giving. We won’t sleep, we already know that, but we are not prepared for Dad’s outbursts, anger, fear, and agitation. He won’t allow anyone in the bathroom with him despite being a risk for falling. When he’s in the bathroom, the nurse’s aide opens the door a crack, watching him from the mirror. Sure enough he removes his head bandage, and she opens the door. What ensued wasn’t pretty, and to complicate matters even more, my dad thought I was my step-mom as we led him to his bed. As my step-mom, I received a closed fist near my face and a warning to back off. I instantly remembered my step-mom telling us about the nights my dad pounded on her door, threatening her before he was diagnosed with Alzheimer’s. Wow. My sister and I slept in two hour increments. My father had a restless night. He managed to push back the bandage on his head, but not remove it totally; he took two bathroom breaks which were thirty minutes each, and I could tell when that little blue pill wore off. We will have another day alone with our father today, Sunday. Monday, our step-mom returns, and Wednesday, we leave for our homes in Maryland and West Virginia. We absolutely must have that conversation with our step-mom…she’s not getting any younger herself. God bless them. Friday – Dad had a calm day at the hospital, and I saw signs of him. That reads strange, I know, but if you have a parent or loved one suffering from Alzheimer’s, that’s the way it is. By signs of him, I mean, I saw his sense of humor return for a few moments, and caught a facial expression I recognized well. The experience warmed my heart, and I was happy I was in the room, and paying attention. My father has suffered with Alzheimer’s for three years. The disease has progressed to the point where he asks the same questions every few minutes, and the past is further and further from his grasp. Some days are better than others. On Monday, my father underwent surgery to remove a cancerous tumor from behind his ear, and lost his ear. There was nothing to be done; it’s done. Miraculously to me, he can still hear us, but you don’t know what he really hears and comprehends. Yesterday as we were waiting for his dinner to arrive, his right hand kept going up to his ear. I wondered if he knew his ear was gone, but with the heavy packing of gauze and the bandages, I didn’t think so. He kept asking us why he was in the hospital, when he was going home, and we’d answer his every question only to be met with the same question minutes later. Yesterday I realized how frail my father is as I held him up while the nurse’s aide removed a soiled hospital gown and seat pad, and fitted him with clean ones. I kept a small sheet covering his now wide waist and my sister made sure the hospital room door was closed for privacy. My father was cooperative, quiet, and patient with us. The former Sergeant Major’s muscles have lost muscle tone in the arms, and he stood hunched over. We sat him down again, and he was comfortable again. I realized I’d never been in this situation with my father. Along with a favorite cousin, I’d taken care of my grandmother at home before she died, and I cared for my mother in the hospital before she died at age 57. Again, I wished my father and his new wife had moved closer to the DC area, and again I was thankful for my step-mother who is resting at a local hotel until Monday. But, such is life, and we will do the best we can. My father’s sense of humor and devilish grin reappeared yesterday when the nurse’s aide asked my father not to touch the location of his IV, and the bandages around the right side of his head. He looked at her with no expression, lowered his hand, and minutes later, he was picking at the tape around the bandages. She kindly asked him to stop again, and he replied with a grin, “When lunch comes, you’ll forget, and I’ll mess with them again.” It took us all by surprise, myself, the kind nurse’s aide, and my sister had to laugh with him. I thought, ‘That’s my Dad. That’s who he was; a very funny man with a quick wit.’ Soon afterward, he asked me, ‘Why am I here, and when can we go home?” The disease was back or perhaps it never left. I find myself staring at my father – afraid he’ll look at me and not know who I am, and hopeful he will remember a bit more about the past. I realize both thoughts are selfish, but I can’t help myself. I will be happy for small glimpses of my father during my time with him in Florida before I make my way home to West Virginia next week. They are precious moments, and I am I am looking for them. A familiar nod of the head, a recognition of a friendly face in the hospital or something on the television, and yes, even the grumpy man I knew and loved who isn’t happy the nurse’s aide has to accompany him to the bathroom, and watch him as he relieves himself so he won’t fall. Alzheimer’s is a horrible disease. Cancer is a horrible disease. As I write this blog post, my 84-year old father lies in a hospital bed staring at the soft yellow wall in front of him. He doesn’t seem focused on anything in particular, and I wonder what his brain is telling him. My father’s brain has failed him. It’s impossible to know what he remembers and has retained from his surgery on Monday. I quickly realize he doesn’t remember a thing. It seems unreal and particularly cruel than an elderly man should have undergone a delicate and long surgery to remove a cancerous tumor behind his ear on Monday that cost him his ear. In a perfect and kind world, no one after the age of sixty should have to deal with any disease; they should simply grow old gracefully, and with dignity and no pain. According to the doctor, my dad is healing quite well physically, and the nurses inform us my dad’s agitation and anxiety of Monday-Wednesday has lessened. He is no longer fighting with the nurses and his night time caregiver who he cursed out royally yesterday. My dad seems calm, but entirely confused. His roommate, a 98-year old man, is yelling for help at the top of his lungs, and clawing at his sheets. I see the man trying to swing his legs over the side of his hospital bed. We are shaken and feel for him, and relieved for our dad when a nurse comes in and gives dad’s roommate a sedative. The screaming is weighing on my dad; we are conflicted. Every few minutes, my dad looks over at me and my sister and smiles as if he is surprised to see us. We are used to that. He asks us the same questions he has asked since Wednesday-‘when did you arrive’, ‘how long are you staying’, ‘when is Rebecca coming’, and ‘what the hell am I doing in the hospital’. At first we tell him we arrived on Wednesday, we’re staying a week, our step-mom is soon to arrive at the hospital for her visit, and we tell him he had surgery to remove a small growth behind his ear. His hand immediately goes up to his ear, and he pats the thick bandage, and then looks back at us. We wonder if he knows his ear was removed. My sister and I look at each other. He doesn’t seem to be in pain, and we can’t imagine what he looks like under the bandage. We are heartbroken for him. We now lie to our father. Every few minutes, the same questions. None of our answers have been retained. My step-mom finally arrives, and my father’s face lights up like a kid on Christmas morning. Even the nurse’s assistant, a young Haitian woman, notices the change; it’s amazing. My step-mom babies him, spoons feeds him his lunch, and again, my sister and I are thankful for Rebecca. She is wonderful with my dad, and we are blessed. They’ve been married eighteen years, and the love, care and commitment shows, but she is tired. My step-mom never had kids, I have two children, and my sister has two children. Rebecca now has a child in my father. A strange thought enters my mind. I am a 57-year old woman, and I’m thankful I’m single. My adult children are out of my nest, and it’s only me at home in West Virginia. My sister and I are caring for my dad this weekend when Rebecca goes to a hotel for some much-needed R&R. I wonder who will take care of me when I’m 84?